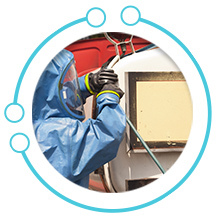 TechClean’s advanced technologies and state-of-the-art solutions keep your environment safe and clean. TechClean has set the standard in commercial and residential duct and coil cleaning for over 20 years, utilizing the industry’s most advanced equipment and our proven protocols. 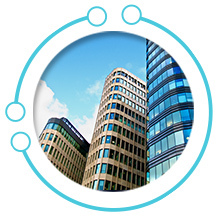 Every workplace is defined, in part, by the quality of its environment and the efficiency of its energy consumption. Safe and clean air supports a healthy workforce and the conduct of sensitive business operations and wise energy usage enhances financial performance and contributes to a clean planet. Achieving success on both of these fronts is the mission and the skill set of TechClean. Our highly skilled team of experts have developed, installed and maintained clean and green workplace environments for such industry leading organizations as Consolidated Edison and The New York Stock Exchange. Our company is at the nexus of scientific solutions -- such as Probiotic based cleaners as an alternative to traditional cleaning products -- and pragmatic solutions that save organizations substantial sums of money by adopting and embracing best the practices that are the hallmark and the signature of our team's expertise. Learn more about TechClean's Services.